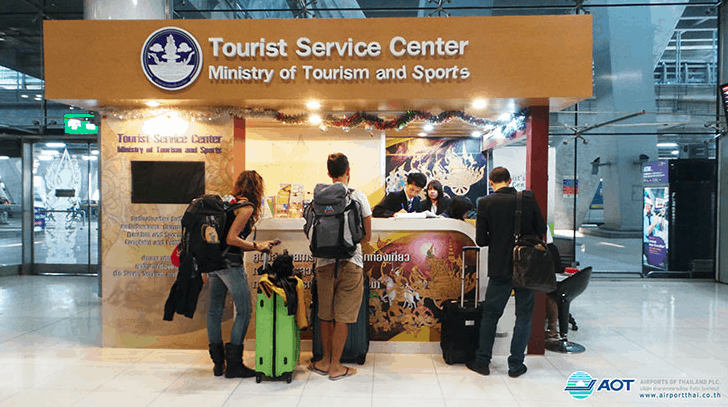 The Thailand Tourist Assistance Center (TAC), under the Office of the Permanent Secretary, Ministry of Tourism and Sports, is responsible for coordinating and solving tourism related problems, handling tourists’ complaints, facilitating tourists, as well as coordinating with the public and private sectors regarding safety issues and other matters to be further assigned by the government and the Ministry of Tourism and Sports. 1. Provision of statistics on problem , complaints, legal issues, as well as other matters relating to tourists. 2. Analysis of problems and provision of comprehensive means to tourist and related agencies. 3. Proceed with the services in handling tourist’s complaints, facilitating as well as providing safety measures to tourists and related agencies. 4. Coordinate with the public and private sectors, as well as foreign embassies and consulates in working out remedies for tourist’s related problems both short and long term. 5. Collaborate with, as well as, support, other related or authorized agencies. Aids: Aiding foreign tourists traveling into Thailand and suffering loss or damage as a result from criminal acts, political rallies, other endangering through no negligence, intention or commission of legal offenses on the part of such foreign tourist. TAC offices in southern Thailand. 4 Ratchadamnoen Nok Road, Wat Sommanat, Pom Prap Sattru Phai, Bangkok 10100, Thailand. 33-35 South Sathon Road, Thung Mahamek, Sathorn Bangkok 10120, Thailand. Operating Hours: Monday to Friday from 08.00 to 16.00. Address: NO. 4, Sukhum Road, Muang District Songkhla Province, 90000, Thailand. You can also call Tourism Police who speaks English by dialing 1155 from your local Thai simcard number and they’ll assist you if you need any assistance.